Size: Wingspan is 1.9", plate is 8.2" X 8.5"
This is simply a breathtaking fossil. It is a fabulous Araripegomphus andreneli dragonfly from the famous Santana Formation of Brazil. This amazing insect lived during the Cretaceous Period, at the same time as the Dinosaurs! This awesome dragonfly has beautiful natural coloration and is extremely detailed. You can even see the appendages and the full length of the body. But the most striking feature of this fossil is the incredible ''lacewing'' pattern that is still preserved in the wings. 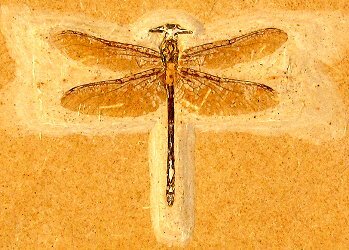 It is unbelievably rare in the fossil record to find a complete fossil dragonfly with wings this well preserved. This is easily one of the most detailed dragonfly fossils ever found, period. 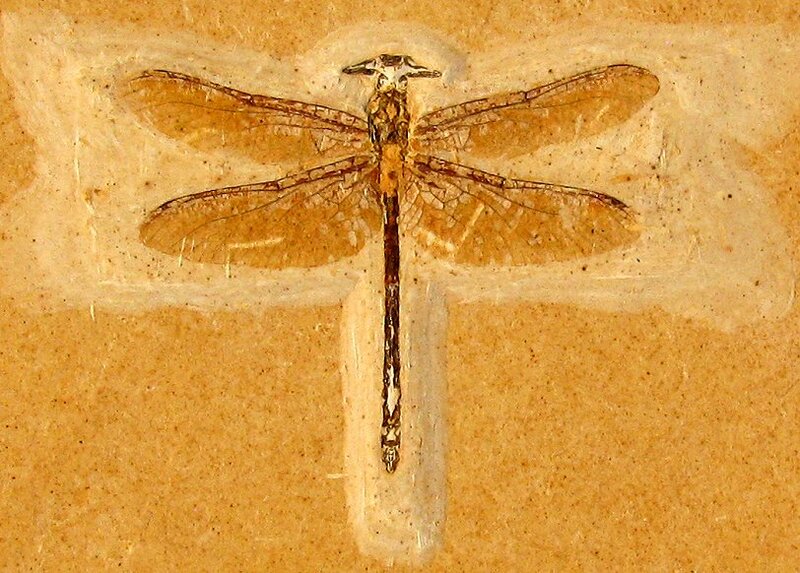 This is a very collectible fossil, and one of the best fossil dragonflies we have ever seen.